Is it a bird? Is it a plane? No it’s a moth actually…. 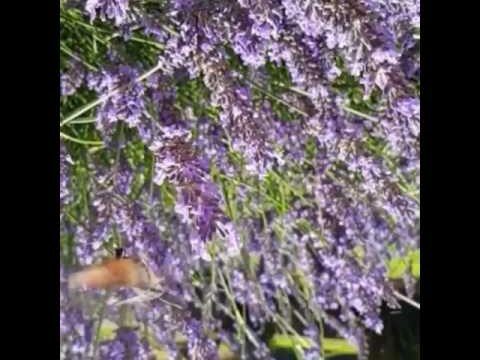 A Humming-bird Hawk-moth was captured in slow motion feeding on lavender at Perranporth, Cornwall. These moths immigrate from Southern Europe and Africa, although some experts suspect they may actually be resident in some areas of the UK. At first glance you would be forgiven for thinking it is the real deal and an actual humming bird. It even seems covered in feathers and its wings have been clocked at an amazing 85 beats per second! This is more than a humming bird itself, which is around 50 beats per second. With thanks to Gabriella Neve for supplying us with this footage.